Gift Horse Hoody (a makewearlove CustomFit Sweater): Both fronts are cast on, and the left front is done to just above the ribbing. It's hard to see, but I love how the little snakey cable is looking. Krewe: Progress! A few more rows on the third color block. This piece is a wonderful meditation. Shocking Pink Portland Sweater: Sleeves are progressing. I ripped back and fixed the mistake on sleeve #1, only to make the exact same mistake on sleeve #2. I was not feeling like the brightest bulb in the marquee when I realized what I'd done. 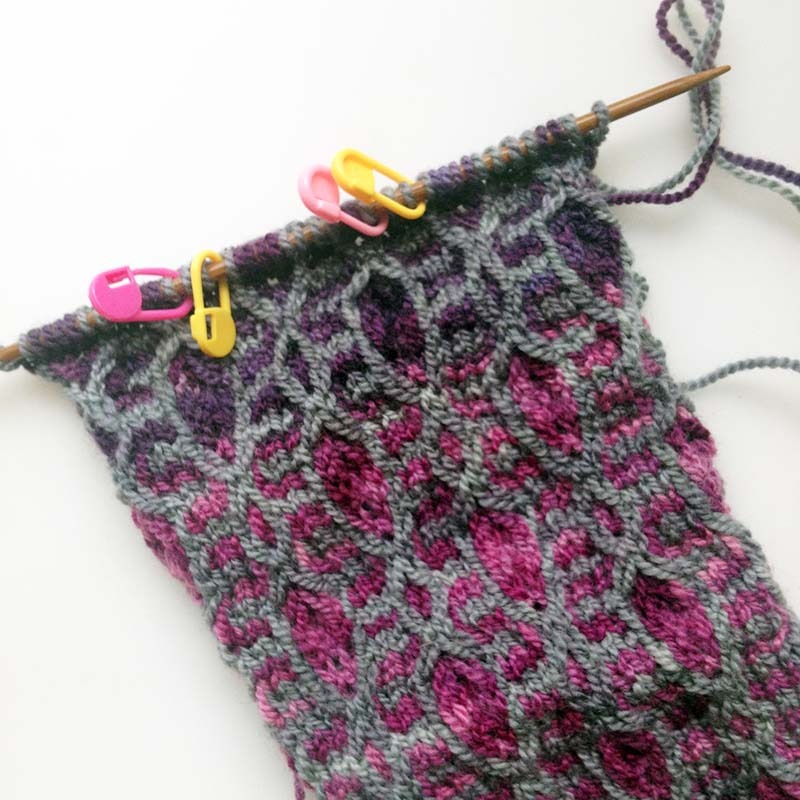 The vintage yarn is interesting to work with. It's really, really dry - probably because it's so old. I treated the swatch with hair conditioner, and that helped a lot. I'm really hoping this will be a non-itchy sweater.